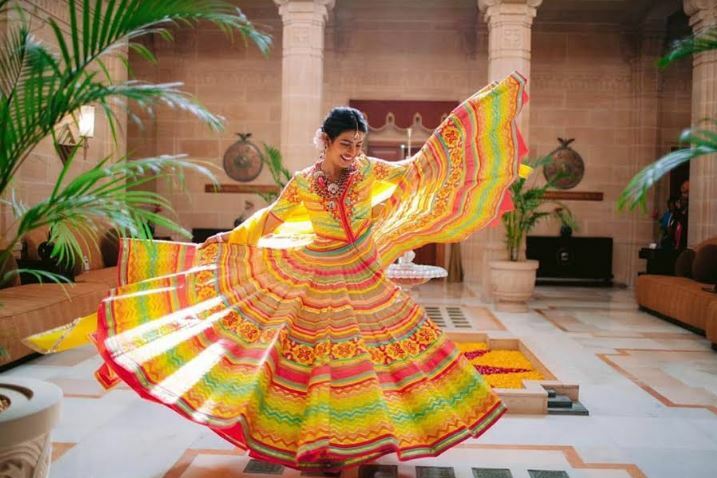 Priyanka enjoyed getting henna on her hands and arms, her friends wore saris and she joined in with the traditional dancing. 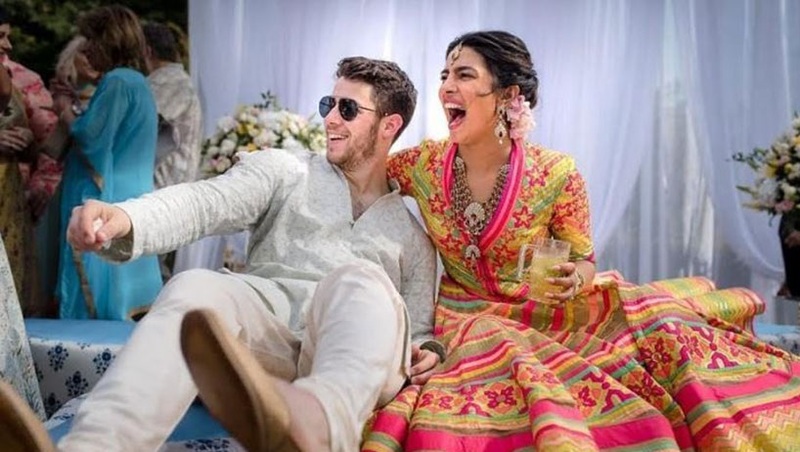 She and Nick also took a casual approach by wearing sunglasses to the outdoors ceremony. Game of Thrones star Sophie Turner - who is engaged to Nick's older brother Joe - also joined in the fun while wearing a beautiful black sari. The wedding - which will be covered exclusively by HELLO! in the issue out Monday 10 December - took place at the luxury five-star Umaid Bhawan Palace the following day, with a Western Christian ceremony which was officiated by the groom's father Paul Kevin Jonas Sr. HELLO! can also confirm that Priyanka and Nick's gorgeous wedding rings are by Chopard. 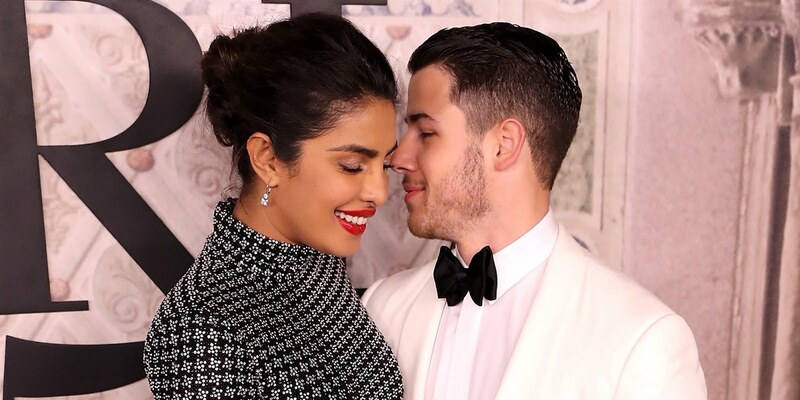 Priyanka's band is taken from the "Haute Joaillerie Collection" featuring 3.90-carats of ashoka-cut diamonds that are set in platinum, and Nick's band is made from ethical yellow gold. Priyanka also opted for Chopard earrings, while Nick wore the L.U.C Lunar Big Date watch from their collection. The pair tied the knot amid much speculation following a seven-month relationship. 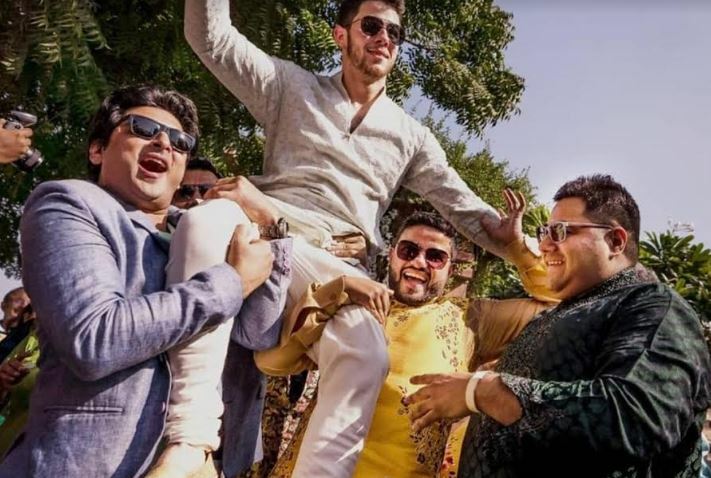 The star-studded nuptials were attended by the couple's nearest and dearest, including Nick's brothers Kevin, Joe and Frankie Jonas. The groom's parents Paul and Denise joined Priyanka's mother Madhu Chopra and her cousin Parineeti Chopra. On Sunday, the couple will continue their nuptials with a traditional Hindu ceremony.